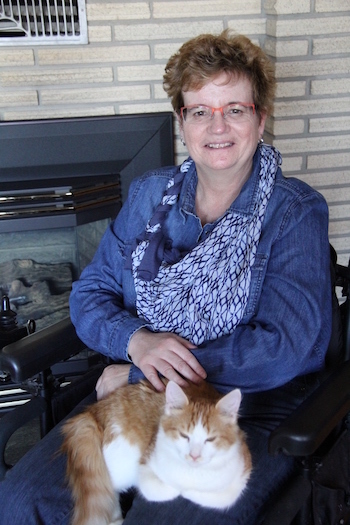 It took nine years of travelling back and forth to Ottawa for MRI scans before Johanne Ménard finally received a diagnosis of multiple sclerosis (MS) and Lupus. “Stress” is the word she uses most to describe the ordeal. She had to be there half an hour in advance of the appointment time, which could be any time of day from 5 a.m. to 9 p.m. Rush hour traffic had to be taken into account as well as weather conditions, which sometimes meant going the night before in case of a snowstorm. Missing an appointment was not an option, since there was a six-month waiting list to get in. And then there was the financial burden: gas, parking, meals, wear and tear on a vehicle, and having someone with her for comfort during the tests. This is what inspired her to join the HGH Foundation Board. We’re always happy to hear about the people and the community we serve. To share your story, please contact us.